Stock # UF163745, Gas/Ethanol V8 6.0L/364, Automatic, 13174 mi. CARFAX 1-Owner, LOW MILES - 12,850! WAS $43,995, $2,600 below NADA Retail! 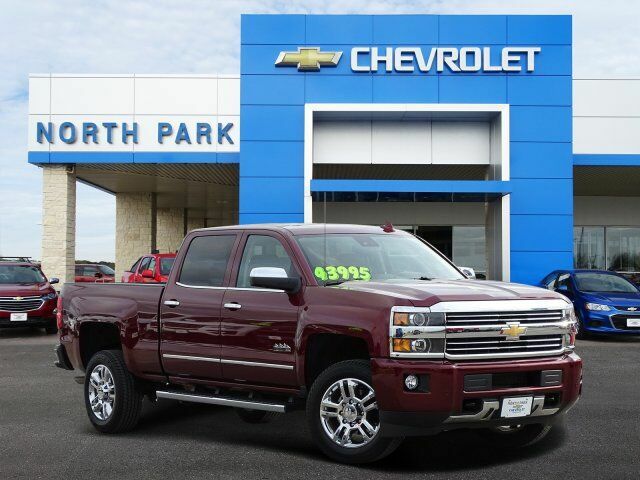 Nav System, Heated/Cooled Leather Seats, AUDIO SYSTEM, CHEVROLET MYLINK RADIO WITH NAVIGATION AND 8" DIAGONAL COLOR TOUCH-SCREEN, AM/FM STEREO, Hitch SEE MORE! Leather Seats, Heated Driver Seat, Cooled Driver Seat. HIGH COUNTRY PREMIUM PACKAGE includes (UVD) heated leather-wrapped steering wheel, (Y65) Driver Alert Package content includes Lane Departure Warning, Forward Collision Alert, Safety Alert Seat and (JF4) power-adjustable pedals, DRIVER ALERT PACKAGE includes (UFL) Lane Departure Warning, (UEU) Forward Collision Alert, Safety Alert Seat and (UD5) Front and Rear Park Assist, STEERING WHEEL, HEATED, LEATHER WRAPPED WITH AUDIO AND CRUISE CONTROLS, AUDIO SYSTEM, CHEVROLET MYLINK RADIO WITH NAVIGATION AND 8" DIAGONAL COLOR TOUCH-SCREEN, AM/FM STEREO with seek-and-scan and digital clock, includes Bluetooth streaming audio for music and select phones; USB ports; auxiliary jack; voice-activated technology for radio and phone; featuring Apple CarPlay capability for compatible phone. (STD), ENGINE, VORTEC 6.0L VARIABLE VALVE TIMING V8 SFI, E85-COMPATIBLE, FLEXFUEL capable of running on unleaded or up to 85% ethanol (360 hp [268.4 kW] @ 5400 rpm, 380 lb-ft of torque [515.0 N-m] @ 4200 rpm) (STD), TRANSMISSION, 6-SPEED AUTOMATIC, HEAVY-DUTY Keyless Entry, Privacy Glass, Electronic Stability Control, Alarm, Heated Mirrors, Bucket Seats, Electrochromic rearview mirror.